This policy is where I explain how I’ll handle personal information you may provide if you join the mailing list, comment on posts or get in touch with me. I and others that may help me with the site will be able to see this information. I will hold it, and my web host and email service will also hold it on my behalf. I’ll only use your information to communicate with you and publish content you ask to be published. If you subscribe to my email list, you can unsubscribe at any time. I’ll delete your information when I no longer operate this or any related site or when you ask me to. I also collect statistical information but it doesn’t identify you personally. Get in touch if you have any questions. The details are set out below. You may disclose personal information to me when you subscribe to the Fashion-Incubator mailing list, add comments or other material to the site, or use my contact form. You don’t have to though. You can view the site and subscribe to its feed incognito. I’m the main person that will be able to see the information you provide. Anyone who may assist me with the site over time may also be able to see it but they won’t be able to share it or use it for their own purposes. If the personal information you provide forms part of material that you have submitted to be published, members of the public may also see it. I will hold the information. Fashion-Incubator is hosted by Lightning Base, and I use Postmatic to manage my mailing list so those services will also hold the information, on my behalf. I’ll only use your personal information to communicate with you, publish comments and other material you ask to be published and for any other purpose that is made clear to you at the point of collection. In addition to news of site updates, I may send occasional emails to you in relation to other matters relevant to Fashion-Incubator or its audience. You’ll be able to unsubscribe from my email list at any time, no questions asked. I won’t disclose your personal information to third parties unless I need to do so to defend my legal position or am required by law to do so. I’ll hold the information for as long as I’m providing Fashion-Incubator or any related site. When I no longer require it for such purposes, I’ll delete it. You can still unsubscribe from the mailing list at any time and I’ll delete your personal information if you’d like me to. Just ask. Feel free to get in touch if you’d like to see the personal information about you that I have stored, or to request correction of such personal information, or if you have any concerns regarding your privacy. You’ll understand that I may need to ask for proof of your identity before providing you with any personal information. 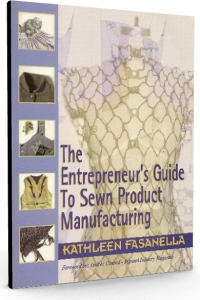 You can contact me at kathleen@fashion-incubator.com.